An injunction application and civil litigation filed by TransCanada Coastal GasLink aims to criminalize Unist’ot’en Camp and forcibly facilitate pipeline construction across unceded Wet’suwet’en territory. The pipeline company’s Supreme Court injunction hearing is scheduled to take place on Monday December 10th. TransCanada is applying for the Court to award them police support to build a pipeline and for financial compensation from Unist’ot’en clan leaders who have been thus far interrupting this pipeline construction by “occupying, obstructing, blocking, physically impeding or delaying access” to unceded Wet’suwet’en homelands. Within hours of the Unist’ot’en releasing a call for support, hundreds of organizations and thousands of people signed a “pledge” to stand against this pipeline and the threat of court injunction. A mass movement against TransCanada’s (and Canada’s) pipeline is unfolding and what’s at stake is the climate, the politics of pipeline and oil and gas extraction, and, most urgently and critically, Wet’suwet’en sovereignty. To join-in and sign the pledge to defend Unist’ot’en, follow this link, and pass it on to your friends and networks. And because Unist’ot’en will need financial resources to continue this struggle, a group of tattoo artists has donated time and art that is being raffled off to those who make sustaining donations to Unist’ot’en. You can find the link to this raffle here. Coastal Gaslink’s application for an injunction will be heard on Monday December 10. Let Unist’ot’en Camp know they are not alone. WE COMMEND the courage and vision of Unist’ot’en Camp. WE ARE WATCHING across the province, country and internationally. WE DENOUNCE any attempt by Coastal GasLink Pipeline, federal government, provincial government or RCMP to interfere in the rights of the Unist’ot’en to occupy, manage or maintain their lands. WE DEMAND that any and all actions taken by the federal and provincial government, industry, and policing agencies must be consistent with the United Nations Declaration on the Rights of Indigenous Peoples and Anuk Nu’at’en (Wet’suwet’en laws) and collective Title. WE PLEDGE support to the frontline land defenders of Unist’ot’en Camp and affirm the collective hereditary governance of the Wet’suwet’en who are enforcing Wet’suwet’en laws on their unceded lands. 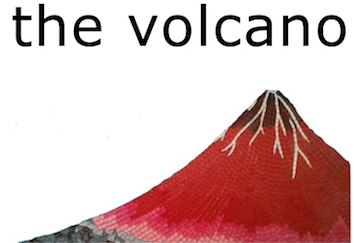 Give the gift of The Volcano this holiday season!